We at 1st-in-scanners.com, want to provide you with a purchasing guide when considering selecting an appropriate reseller. This is an important decision on your part and your experience should be positive. You should feel confident that the company you purchased a scanner from will be around for post sales support. Far too often we hear from customers who have purchased a scanner from what we call ?wannabe? internet resellers in this business. Their scanner prices will violate the too good to be true rule. The old adage ?you get what you paid for? applies. So what should you look for? What are some of the pit falls that I need to be aware of? What are some of the scams I should watch for? How can I identify a company that will operate above board? What should I look for that will help protect myself and my scanner purchase? Here are some safety tips to protect yourself and your purchase. 1. Find a scanner vendor that answers the phone in normal business hours. If the reseller only provides a Shopping Cart to purchase a scanner and you cannot speak to someone trained in this business, well you got what you paid for! There is value in having quality customer sales both pre and post. At 1st-in-scanners.com we want our customers to contact us. Our web site is specifically designed intentionally for customers to contact our sales associates. This should give you confidence that we are here to assist you in your purchasing decision. 2. When I am talking to a sales associate, is that individual knowledgeable in the product(s)? Quality companies will and do have educational programs that sales associates are required to attend. Our sales associates are required to participate in manufacture?s training programs. 3. Should I be charged extra for processing my credit card? This is a classic case of fraud to deceive the customer for more money. We have seen in this industry where a company will advertise a scanner for less and at time of purchase charge the customer a processing fee. 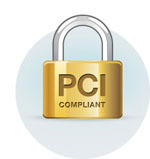 Under charge card contracts, the merchants (reseller) are not allowed to charge a customer any fees for processing credit cards. The credit card cost is to be born by the merchant. 4. Based on the credit company?s contract; the merchant cannot pass any fees onto the customer. We recommend that if you are charged any processing fee that you contact your credit card company at once! 5. I was charged separately for a Factory Warranty. Not Good! If you are charged for the Factory Warranty you should contact the manufacturer directly. 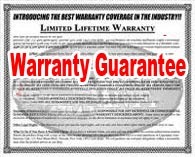 Factory Warranties are included with ALL scanners. Even if you purchased the scanner from a competitor, we will be happy to provide you the phone number to the appropriate manufacturer?s managers. The manufacturers? do not condone this practice with any reseller. 6. Here is something new that has come to our attention. You, the customer found a web site that advertises incredibly low prices. Great! You purchased a scanner and then find that the scanner reseller charges separately for software. Just about all manufacturers include with the purchase of their product the drivers and basic scanning software. Again, it is a good idea to contact the reseller and talk to a sales associate first. Here is a short list, by manufacturer, of software that should NOT be charged separately for. This is a partial list. This is subject to change by the manufacturer. Not all scanners will come with all the listed software. Please reference the manufacturer?s specification sheet. If you experience a reseller charging separately for software that IS or should be included in the box from the manufacturer, you should contact the manufacturer immediately! They do not condone this practice. We will be happy to provide you the phone number to the appropriate manufacturer?s managers should a reseller charge for any items that are included as standard packaging by the manufacturer. As a final note, do not confuse, if a reseller is trying to assist you with a document management software application. There is a BIG difference in software free and enclosed in the box from a scanner manufacturer and a document management software application. If you have questions please consult your sales associate or refer to the bottom of our web page (1st-in-scanners.com) on the left side; (Click) on Document Management Software, on that page on the left side go to the bottom and under Other Services Click on Document Software Buying Guide. 7. I purchased what I thought was a NEW scanner and it turned out to be a Factory refurbished unit. How can I protect myself the next time I purchase a scanner? Yes, we are aware that a few resellers will try and sell you what you think is a new scanner, but in fact, it is a factory refurbished unit. Again, you get what you pay for! Nothing wrong with a factory refurbished scanner, the only issue was you were deceived. The good news, is, we have been working closely with the manufacturers to better disclose units that are manufacturer?s refurbished units. If you purchased a refurbished scanner, basically, inside the box, is a letter that the manufacturer discloses that the enclosed unit is a refurbished scanner. Generally, the serial number on the back of the scanner will either begin or end with the letter R. Both indicators are intended to stop a reseller from selling a refurbished unit to you, as NEW. This procedure by the manufacturer is not fool proof. A reseller can remove the disclosure letter. It?s happened! You need to check the serial number on the back of the scanner. Should you learn that you purchased a factory refurbished scanner and you were not told by the reseller that the unit was a factory refurbished scanner, please contact the manufacturer. They want to know! Factory refurbished scanners have different warranties than NEW scanners and I can assure you, they, the manufacturers, take a dim view of this practice from any reseller. We should emphasize one thing. There is nothing wrong with purchasing a factory refurbished scanner, especially ?factory? i.e. manufacturer?s refurbished scanners. The point we are illustrating is the proper disclosure to the customer. 8. ?Open Box? purchases. Vendors do sell what is termed in the industry as ?Open Box?. The units are just that, open box. Generally, there is nothing wrong with the scanners, just that a customer upgraded their original purchase and returned the unit unused. The purchase of an ?Open Box? can be a great buy. This however is like everything else, it?s all about disclosure. If the reseller you are purchasing the scanner from operates with integrity this will not be an issue. 9. I purchased an extended warranty. When I called nine months later for support I was told that I did not have any extended warranty contract. This problem came to our attention at a national conference from another reseller. When you purchase an extended warranty, generally the manufacturer will send you directly a contract or ?Care Kit? with the warranty contract enclosed. A second way to validate that you got what you paid for, is to contact the manufacturer?s support line and ask do they have you registered with the extended warranty. If not, get back to your reseller and have them validate that you have an extended warranty contract. Now, it?s one thing that the paperwork did not reach all the proper channels, that happens. It?s another, if the reseller ?pockets? the money and does not place the order and only corrects the issue by exception. Unfortunately there are a few resellers that operate this way. Manufacturers are starting to take note of this practice and if they receive sufficient evidence, the reseller in question maybe toast! We hope you find an appropriate solution for your document imaging needs and help you avoid some of the common pitfalls of shopping on the Web. While price is certainly important, it is equally important to be sure you are getting the appropriate solution. Are there other indicators to look for? Of course! Here are some helpful indicators and common pitfalls. Look at the content of their web page. Does the seller carry lots of products from lots of manufacturers or just a selected few? Does the vendor only carry low end scanners or are they carrying the full line from the manufacturer? Do they answer the phone? When they answer, do they sound like they know what they are talking about or are they just order takers? Are they ?Premier Partners? with the manufacturers? Do they operate from an office/store or are they operating from someone?s basement? In other words is the reseller ?established?! If they do not have answers to your questions can they get the answer? Do they have a written return policy and is it published in an easy to access place on their web site. Can you find the physical address of the web seller? Can you find their phone number? Do they have a picture of their office with their sign on their web page? Is someone available to speak with that is qualified, responsive and willing to share his or her name? Does the sales person know the product? Are they willing to provide documentation, like manufacturer?s tech sheets? Does the sales person know the manufacturer?s tech support number? Will the item be shipped with all the appropriate pieces? Does the item include any software? Is the software licensed or is it a trial version? 5. Used goods sold as new? Are all the items in the box new? Is anything opened or refurbished? Open box or refurbished goods may be acceptable, but you should be made aware of the differences. Does it cost more to use a credit card? Why? What is the basis for shipping charges? Is there a handling or transaction fee? Did you get documentation for an extended warranty? Can you confirm that the warranty was extended, possibly by calling a support number? In preparing this purchasing guide, I want to let our customers know this guide was first circulated to key scanner manufacturers, distributors and resellers around the country. This channel of partners wants your experience in purchasing products to be positive and that you, the customer, will keep coming back. Their input was greatly appreciated. If you, the customer, experience abuses or unethical or questionable practices in the imaging industry, we would like to hear from you. Clearly, we will not publish any reseller?s name; however, if your story can be validated we may consider, with your permission, adding your experience to this page.